Animal shelters always need money to pay for cat food, litter, and medical supplies. 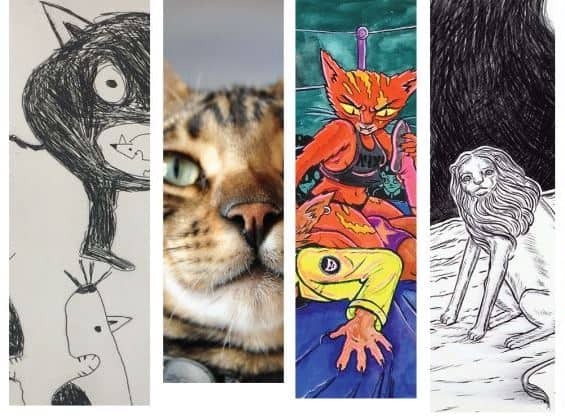 That’s why in South Africa, local artists have banded together to present an art exhibit devoted entirely to cats including cat paintings, sculptures, and photography. The Cat Show will accept the generous donations of cat food for the duration of the exhibition and will donate a percentage of sales to the Kitty and Puppy Haven shelter as a commitment to give back to our feline inspiration. If you live in South Africa, don’t miss this show for a good cause. To learn more about this South African cat show, click here. Is Your Cat Controlling Your Mind?